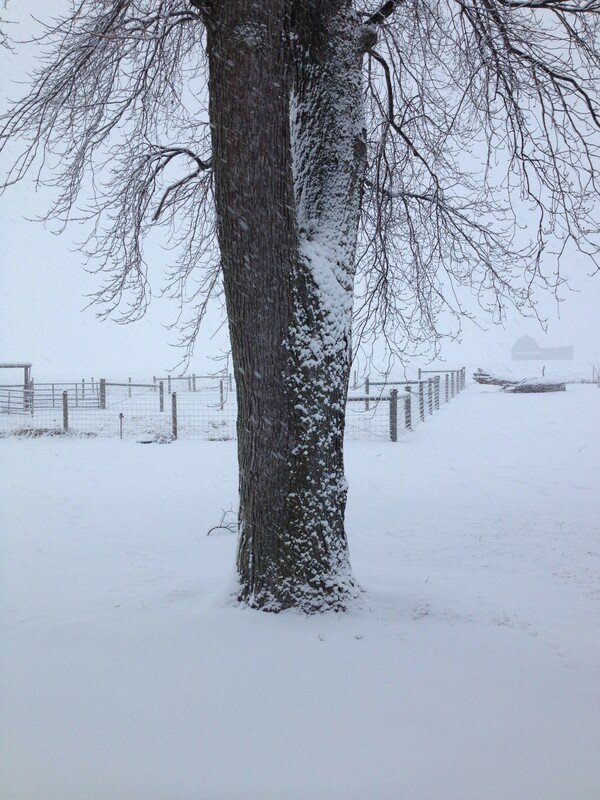 We are in the 8-10″ snowfall area ^. My main concern, though, is the wind chill prediction. Pig farmer and I spent several hours yesterday rigging up more wind breaks. We cleaned pens and freshly, deeply, bedded pens. Now, we hope for the best. And just make some more coffee. 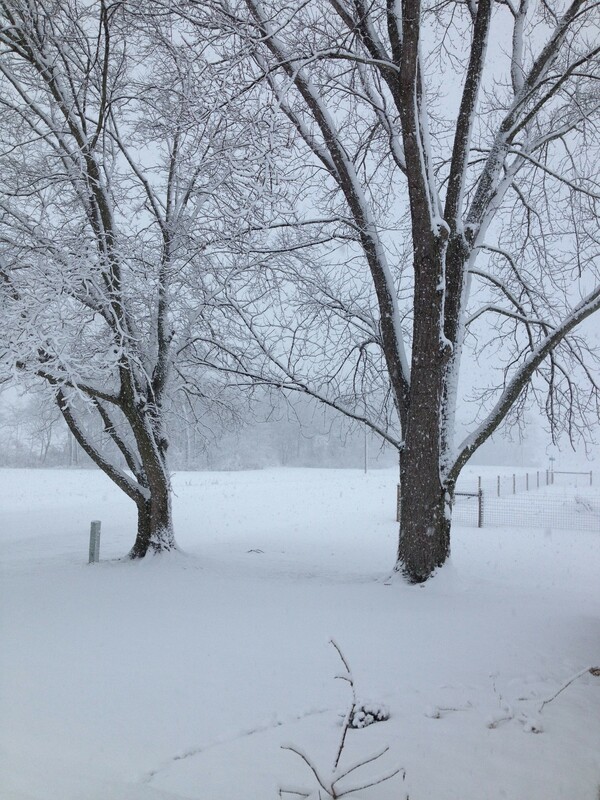 This entry was posted in Country Living, Positive Thinking and tagged central Illinois, chores, cooking, Country life, Country photos, Illinois weather, just, snow, wind chill. Bookmark the permalink. You are startin’ to sound poetic. Don’t put any Teflon lights on your animals. It kills chickens. Not sure about larger animals. Teflon lights … not sure about those. We just have some heat lamps that can be used on baby pigs, if we need them. Yep, that’s what I was tryin’ to tell you. He wondered what it does to humans and I wonder what it does to ANY living creature. I HOPE YOU MAKe IT THROUGH FINE!!! That is stunningly cold! So far – so good! Thank you. 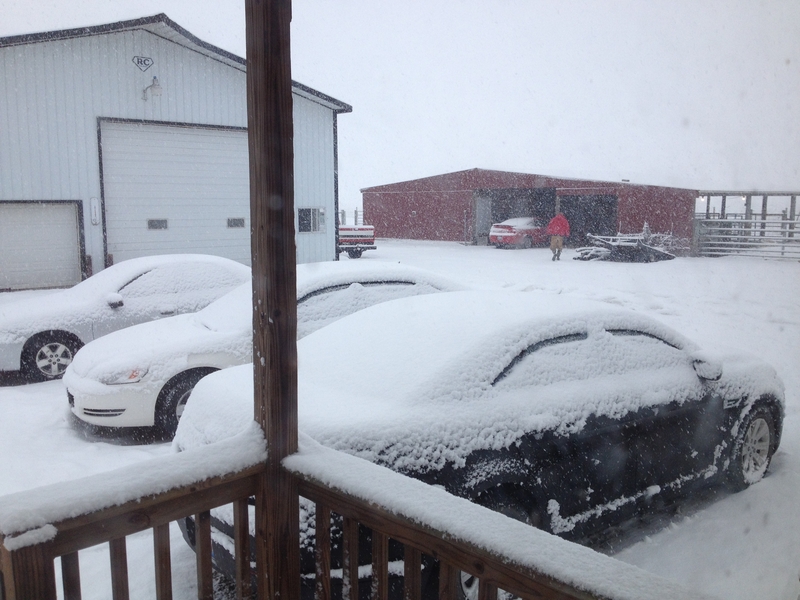 In the 6″ – 8″ range here, but much more concerned about the wind and dangerously cold temperatures. Stay safe and stay warm. Hope you’re animals do okay in this weather. And good information about the light bulbs. Will have to remember this in the future. Stay safe and warm, too! We don’t have snow like that where I live in Oregon, but I lived in Montana and Idaho as a kid, and we sure did. My kids have missed out on making forts and sledding. Montana and Idaho!? There’s a blog idea for you – reminiscing those winters!! Brrrr! 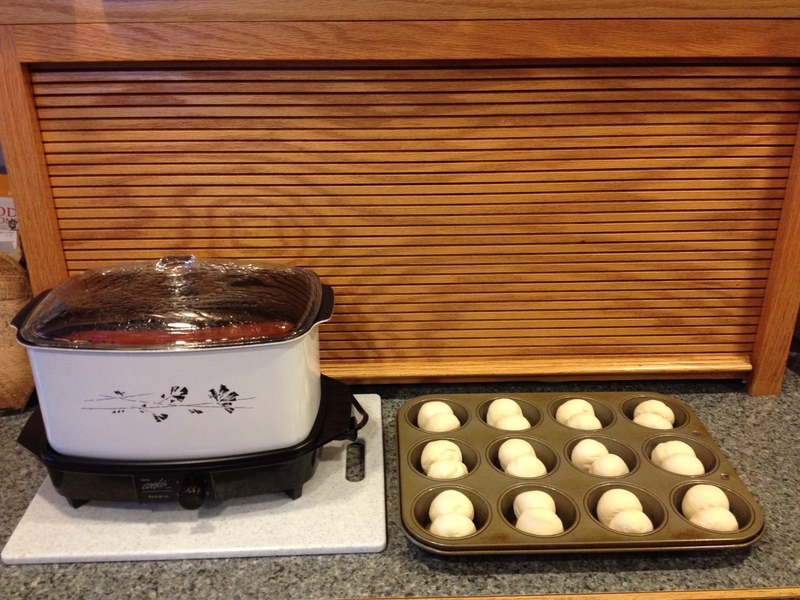 Those are some cold wind chill temps–perfect for chili and bread baking in the oven. 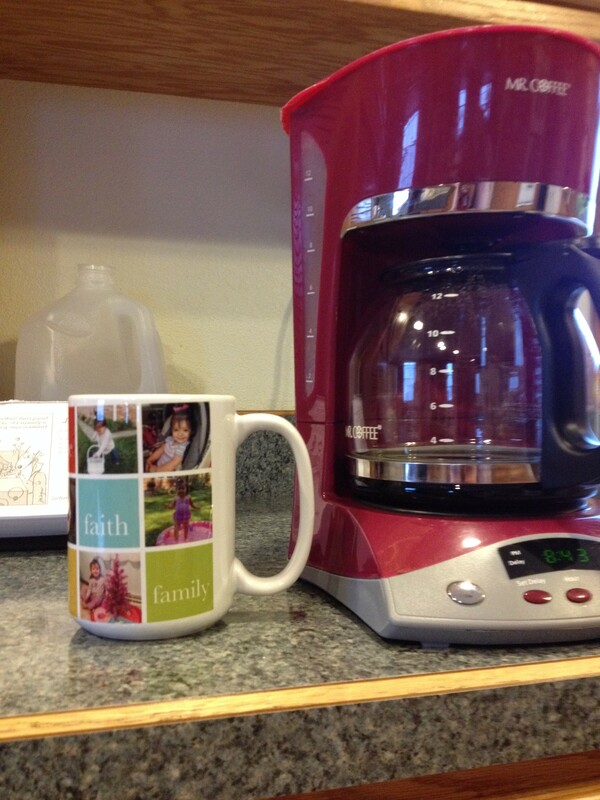 I like the mug next to your coffeemaker. I’ve never even heard of Teflon lights. Brrrr! is right! The chili and rolls were perfect for the day. The mug is also perfect!